Inspired by the fabulous fashion show I was lucky enough to attend, and also frustrated by the vast amount of pretty ribbons that pile up in my pockets after snifforamas, I hereby announce SmellyBlog’s first contest - The Scented Ribbon Contest! In the photos above, the world’s oldest and most renowned working model Barbie Millicent Roberts , is wearing a convertible gown by Narciso Rodriguez. The floor-sweeping trail transforms into a medieval-inspired veil in an instant! Transform a scented ribbon ) into the most beautiful, innovative, useful or funny thing you can imagine. These are the ones that are used instead of scent card in many lines nowadays, so they are not hard to find. Photograph your masterpieces and email them to me. Contest starts immediately, and closes May 30th. Winners will be announced June 15th. The top three winners will receive a much coveted scented ribbon item designed and handmade by myself. Due to the nature of the contest, I will not be able to reveal the truly fabulous nature of this prize, and a surprise package of perfumes and scented products by Ayala Moriel Parfums. I have been too busy to blog in the past few days. The countdown to take-off has started, and the clocks are ticking… Tying loose ends; strategic packing (trying to refine into an art form the virtues of minimalistic luggage); But also lots of brewing: bath oils and massage oils as gifts for family and friends on the front burner, and new scents to be left to marry when I am away. I am hoping to find some great surprises when I am back… Schizm already smells lovely, with the new creamy tuberose and the addition of orange blossom for a vividly sensual white floral heart, and cepes and ambrette to supply the muskiness of the original costus formula. Guilt is starting to grow on me with new crop of chocolate absolute (deliciously smooth and rich, thickly sweet in the best possible way) and infused with luxurious honeyed amber and fruity orange blossom and blood orange. I have been trying to see how it will work without the smoky leathery note that makes Guilt what it is (chocolate and smoking seem to fit the title of the two greatest crimes of pleasure, but they also smell good together) I have been also working on two new soliflores for the summer and am hoping that they will become even better after aging. These are going to be surprises for you, and I will not reveal the singular theme for now. So back to brewing: I am really enjoying the simplicity of bath and massage oils and have decided to share my pleasures with my immediate family and friends (which I refer to, without their knowledge, as my lab pets). For them I have been concocting luxurious massage and bath oils from almond oils and organic virgin coconut oil, infused with delicious edible scents such as chocolate, licorice, gin & tonic and others. The greatest fun of making one-of-a-kind personal products is the flexibility and room for improvisation. And so I took the liberty to apply some of my underground creativity to the packaging: miniature liquor bottles were freed of their toxic contents and released of their labels and instead were filled with fragrant virgin coconut oil, flavoured with botanical essences. The result is pictured below for your amusement. Booze Bath: featuring almond oil and essences of white cognac absolute, juniper berry and lime. Choco Bath: featuring almond oil and essences of chocolate absolute, vanilla absolute and blood orange essential oil. The lettering, by the way, possesses the unexpected feature of glowing in the dark! To read the full story click here. I have just edited it now to add a few more details and make some corrections. A vintage perfume always keeps more stories than can be revealed by the scent and bottle alone... I feel very lucky to know a bit more about the person that had this perfume before me... To illustrate a few details about her - she was born in New Zealand and moved to London when she was 50 years old. She was very independant and witty, and refused all her suiters and dedicated herself to take care of her old parents. She celebrated her 101st birthday at 1991, so she must be 116 now! One week from now, I will be in an airplane, on my way back home to Israel. I haven’t been to Israel in the spring in seven years, and I am very excited to be smelling wild flowers again! This trip is mostly family related, but it will also have a lot to do with scent and finding new inspiration from the olfactory landscapes of my home country, which has always been my greatest inspiration for my perfumes. I started packing as early as three weeks ago, which is very clever yet not my typical practice, and I intend to make this a tradition from now on. As a perfume connoisseur and a fragrance junkie, the most exciting yet somewhat challenging part of all (after choosing scented gifts to bring back to family and friends, of course), is deciding which scents I will be wearing for the next month when I am away. I already packed my perfume for my trip back home. I am taking a flacon of Espionage (which I always have with me everywhere I go! ), purse sprays of Fetish (my ultimate hot weather scent! ), Tamya, Megumi and White potion. I am also taking with me a roll on bottle of virgin coconut oil with chocolate absolute. Here it is completely solid almost year around ☹ but the coconut oil will liquefy as soon as we get to the Holy Land! And I am taking my Perfumed Pendants of course – with Espionage (turquoise opal) and Ayalitta (red garnet). Other perfumes that I am taking are usually on the light or floral side, except for a decant of Arabie which I am taking for sentimental reasons only. I am taking with me Philosykos, Mitsouko EDT, Fleur de Shanghai, Narciso Rodriguez, Fleurs d'Oranger, Bvlgari, Diorissimo and Spring Flower. And last but not least – a handful of samples of scents that I think will work better in hot weather, and I don’t usually wear. I am taking them with me to create new memories with them… Wearing them later when I come back to Vancouver will remind me of my trip… That’s what I call “emotion simulation technology”. These include Le Parfum de Therese, l’Ombre Dans l’Eau, Annick Goutal Eau d’Hadrien and Eau de Sud, Antonia’s Flowers (all three scents), Jo Malone’s Grapefruit Cologne, Ormonde Jayne Frangipani and Osmanthus, Miller Harris Figue Amere and Citron Citron, and a few others. So you can sort of expect to read reviews of some of these scents in the following month. I am leaving April 1st and will be back on the 26th. I will, however, have access to the internet most of the time, and will report about my various fragrant adventures. 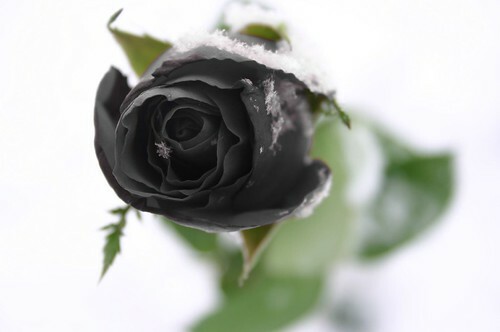 black rose 3, originally uploaded by niteseeker. The most incredible and unexpected birthday present I received yesterday was Black Rose by Goya, from Katherine. Kat thought I would understand and appreciate it's strange beauty more than she or anyone else she knows could, so I am truly lucky! It was given to her by Miss Erica Westmacott of Walington, Oxfordshire, when Kat was staying with her at Tallows Cottage. Erica lived a long and independant life, and celebrated her 101st birthday in 1991. While some perfumes are famous for their bottles, this one should be famous not only for its wonderful black rose scent, but also for the box where the little bottle nestles: a little matchbox with a dark rose. Only 1/3 of the perfume is still there (about 1ml at the most I think). And it’s smells heavenly of dark burgundy rose, almost black petaled, almost dry yet fragrant than ever. The scent is quite old, and becomes faint after an hour or so, so I cannot give you very accurate impressions of the base. Overall, it is similar to Nuit de Noel, only with the rose being the theme, and less the dry Saxon moss. The base is slightly mossy, perhaps with civet and amber, only that it is not sweet. But the top to middle notes are divine and rosy, like tucking your nose in a cushion of dark petals. I usually don't fuss about birthdays, I just like to enjoy myself on my special day... But this one is different - once can only turn 30 once in a lifetime. And though I was dreading this day a year ago and two years ado, or more accurately - pressured to prove myself that I have accomplished something spectacular by the age of 30 - I was surprised that when the date started approaching I found myself feeling, in fact - excited, content and quite proud of myself for turning 30 and achieving the most important things for me, both in my personal and professional life (you know, blogs have that way of making people think that way about themselves...). Yet, I still have a lot to look forward to, more to dreams to fulfill and more work to do. And it feels good. I started my day with organizing new ingredients that just arrived yesterday (what could be better for a birthday present?). Orange blossom absolute, orange flower water absolute, pink lotus absolute and lavender absolutes were the highlight of the morning. The beautiful aromas uplifting, soothing and exciting. A true treat for body, mind and soul. I was working on perfecting a few of my recent perfumes, to fine tune them to the new qualities of the building blocks. But also, I am re-doing some of my old perfumes, which I was not quite happy enough with their performance and thought the new ingredients will improve. There are only two words that will a perfume connoisseur: Discontinued and Re-formulated. But fear not, these changes that are being made to several of my older perfumes are truly going to bring them to a different level; if you loved them before, you will love them even more. The true spirit of the perfume will remain the same, only tweaked and improved thanks to the new ingredients. Guilt, Sabotage and Schizm are of the few that got a special treatment today. Sabotage - a vetiver and tobacco scent with citrus-spicy heart, now with a new, very refreshing type of vetiver. I mus admit I have a personal bias against the marmite-like, dark vetiver note. It is quite challenging to work with. The new vetiver I got - a wild one from Haiti - has the same refreshing qualities of citrus, without being citrusy. It may be a bit more of a heart note than a base note, but I love it. I am waiting to see how it unfolds with the lemon leaf, tobacco leaves and tonka bean. So far it's been delightful! Schizm - Originally made with narcissus note which I can no longer obtain, and a musky costus-based musk note which due to safety regulations I am forced to ommit, I have now decided to keep it's flamboyant, sassy yet classy attitude with accents of pink lotus and orange blossom to replace the heady yet powdery presence of narcissus, and the musk accord is now based on Cepes (wild mushroom), ambrette and a rough and dry cedar moss. doesnt get any softer than this, originally uploaded by lil aNNa. Refined and restrained beauty like a spirited woman in a tailored suit - Ivoire starts off with business-like manners of soapy cleanliness attached to a bouquet of garden roses and green leaves. As sharp and soapy as the opening may be, it has an instant effect of cheerful and energetic attitude that is simply charming and uplifting. Rather quickly, it softens to reveal dewy roses awakening to rays of sunshine releasing a fresh scent along with crushed grass and softly warming soil and petals. This breath of fresh garden air remains true throughout the composition despite of the underlining warmth of leather, cedar, incense and moss - except for the very final dry down, which is of soft incense sweetened with subtle notes of raspberry jam; A somewhat bizarre finale to such a green song but nevertheless magically harmonious. Ivoire is one of the very few green perfumes that put a smile on my face. While I find many other green compositions too sharp or melancholy, Ivoire balances beautifully between elegance and warmth. The underlining notes of cedar and leather must contribute to its favorable effect on me – and although I don’t find the raspberry note quite necessary, it is a pleasant surprise to find that “candy” hiding in the green rose garden… This final accord reminds me of Yohji’s final accords, as well as Rochas Man. Vent Vert is a perfume with one clear statement: Green! The experience starts with a heady breeze of green notes: freshly cut grass, clary sage and galbanum, and a slight suggestion of patchouli. This definite green statement pervades throughout all stages of the olfactory evolution of this magnificent perfume, which has become, with no doubt, the symbol and inspiration for anything green. Its youthful, spring-like and independent nature is unforgettable. Once the initially sharp green blow has made it’s statement, it allows other notes to accompany this spring experience: a surprising accord of peach and gardenia is the bridge from the top notes to the more floral heart notes: green rose, lily of the valley and fresh jasmines float amongst the greenery, as well as orange blossom absolute, with its fresh and fruity, refined citrus nuance. This herbal-green-floral bouquet is supported by base notes that are not any less green: green oakmoss, vetiver (a woody-earthy-green root of a tropical grass), and sandalwood. The base notes are dominated by the woody notes of sandalwood and vetiver. But still, it acts only as a garden-bed for the green accord of clary sage and galbanum which leads the theme of Vent Vert. Vent Vert is green all the way… Keeping in mind that it was the trend-setter for Floral Green perfume, in an era when femininity was associated with much more floral and heavy notes, Vent Vert was revolutionary is the way it used green herbal notes as the theme, and the florals were merely supporting the green ones. I simply can’t think of any other perfume that does it better! Vent Vert is fresh without being citrusy, green without being herbal and medicinal, and has those whispering powdery notes without making it melancholy or in the least sentimental. It is pure happiness, vivacity and youthfulness at its best, liquefied and bottled! The perfumes page on my old website, Quinta Essentia, has been just updated. I have decided to make those updates despite the fact that this website will be soon replaced with the new one for Ayala Moriel Parfums (ayalamoriel.com). I did a major clean-up, taking off-line the discontinued scents, and adding some of the newer perfumes that haven't made it to the website before... Now all the perfume information and notes are at your fingertips! I am planning to launch the new website for Ayala Moriel Parfums (ayalamoriel.com) later this spring, with new perfumes and plenty of exciting new features, including, of course, a shopping cart - but lots of other things that I prefer to keep a surprise... Including the new packaging! Until than, please email me to order or to inquire about prices, shipping etc. I will be happy to answer all of your questions as well as give you a free Fragrance Consultation! Bvlgari has just completed painting the last colour in their tea-flavoured Italian flag – the third of their Eau Parfumee series is Au The Rouge – red tea - following its former white and green teas. Tea has always been Bvlgari’s signature theme in their fragrances, even though the tea note is quite different in each scent: jasmine-scented green tea in Bvlgari Pour Femme, Darjeeling tea in Bvlgari pour Homme, Green Tea in Bvlgari Homme Extreme, Lapsang Souchong smoked tea in Bvlgari Black. In their “Italian Flag Tea Series”, Bvlgari created subtle unisex scents that are refreshing and easy to wear. The tea in all of these has a certain dry, acrid tone to it that makes it refreshing in a different way than the common splash of citrus zest. Eau Parfumée au Thé Vert, the first in the series, is the most fresh and citrusy of all – with notes of bergamot and green tea and a tad of honey at the bottom to sweeten your beverage. Eau Parfumée au Thé Blanc is my favourite – a white musk and orris scent and with the typical acrid aftertaste of white tea, a hint of white pepper and amberette seed. The powdery and musky notes are lovely and refreshing and it’s perfect for warm weather without being a citrusy cliché. Eau Parfumée au Thé Rouge – though I expected it to be irresistible – is a bit disappointing. Red tea is referring to rooibos tea – the sweet tasting South African bush, used as a (superior, in my opinion) substitute to black tea – less the theine. However, Au The Rouge starts with the acrid note of oolong black tea and a hint of spice (so it’s not quite ‘decaf’). The dry down reveals the rooibos – smooth and delicately sweet. It is very pleasant, though I did not detect the fruity and nutty fig and walnut notes that are part of the marketing scheme for this scent (another disappointments, as I love figs). Comparing to what I expected from it I can say I hoped for more and was disappointed – this scent does not particularly stand out and my favourite remains Eau Parfumée au Thé Blanc. For my red tea kick I will stick to my favourite rooibos chai. Decoding Obscure Notes Part IV: Violets - Purple or Green? Violets have been long regarded for their delicate and sublime aroma. Although for the most part they are considered a shy, lady-like scent and are associated with Victorian times, when violets were most popular in history. Violets are also considered aphrodisiacs – though usually a “proper” and “well mannered” aphrodisiac. There is a hidden darkness and duskiness about violets that does not come through in all violet fragrances. A quick visit to the most infamous violet scents will lead to the conclusion that there are no two violets that are the same. There are some green ones – such as Verte Violette, Ormonde and Viola; There are powdery ethereal ones such as Apres l’Ondee, and there are others that are sweet and floral with no question about their violetness, such as Violetta and Meteorites (a Guerlain limited edition). The differences lays with the fact that the part of the plant that is used commercially is the leaves. However, the nostalgic scent that was so prized in Victorian times was the flowers themselves. These are sweet and powdery at once and quite unusual; Their unmistakable scent is very delicate – in fact, almost invisible in the fresh flowers themselves. Since violet flowers are for the most part man made compounds, the interpretations are limitless, ranging from powdery to green, floral and even gourmand-like, inspired by candied violets. Although violet flowers can be distilled into an absolute, the process is labour intense and non-cost-effective. When I use violet flower note in my perfumes, it is a compound made if various oils that are rich in ionone - such as orris root, violet leaf absolute, boronia along with other floral oils or absolutes to round off the accord and give it a soft flowery impression. This dark green liquid from the violet leaves smells cool and green, just like cucumber. When diluted, it exposes its powdery and floral characteristics, rather than leafy green. Boronia comes from the shores of Tasmania, and is one of the most precious absolutes. It contains a lot of ionone – a key component in violet and orris. It has undertones reminiscent of sandalwood and hay, a yellow freesia and violet like body and a slightly fruity, almost like cassis and apricot top notes. More than anything else – it is reminiscent of fresh yellow freesias - fruity, green and spicy all at once. Orris has an important role in the creation of violet flower compounds. As much as orris root butter is expensive – it is far more cost effective than harvesting violet flower absolute. Along with chemicals from the ionone family, it helps to duplicate the delicate scent of violet flowers. Besides its innumerable roles in perfumery and aromatherapy alike, lavender has affiliation with violets. It is floral, herbaceous, powdery and sweet all at once and also, well, purple. The softness and warmth of lavender promotes the powderiness of violet compounds. I have already mentioned before, in the article about musks, the unique characteristics of costus. However, it’s dusky, dark and slightly oily quality is not only valuable for creating vegetale musk accords, but also as a deep and delicately sweet and rich foundation for violet accords – especially when seeking a dark, more mysterious (rather than purely innocent) violet. What is amber? Is it a gemstone? A fossilized tree resin? Fur-balls a-la-Whale? Is it an essence from a mysterious plant? There are so many myths and confusions about what ambergris really is, and there are many reasons for that. First and foremost, because amber is a word that is used for a few different things: a short name for ambergris, the ocean-aged secretion from the sperm whale, a name of fossilized tree resin (Pinus Succunifera, to be exact) which is used in jewelry, as well as an umbrella name for many different compounds that for some extent or the other try to mimic the sweetening effect that ambergris has in compositions. The fossil Baltic amber comes from an ancient, prehistoric pine called Pinus Succinifera. Amber dust is a by product of the fossil amber industry, and can be distilled to form a smoky-sweet-resinous and somewhat reminiscent of pine gum. This oil is occasionally used in perfumery as a base note, but very rarely. There are also some toxicity issues around this material and it is not recommended for use on the skin. If you ever try to burn amber “gemstones” to prove their authenticity, the smell that comes from the charred resin is the scent of amber resin oil. Ambergris is a cured secretion that comes from sperm whales to heal its stomach from the scratches of the cuttlefish they swallow. It floats on the ocean, and by exposure to the sun and the salty water it changes its originally foul smell into one of the most delicate and sought after fragrances: Ambergris. Ambergris is sweet, soft and slightly powdery. It is animalic but in a subtle way – the raw chunks of ambergris on their own remind me of the smell of horses… Ethically harvested ambergris that was beach harvested (as opposed to ambergris that was procured from slaughtered whales and went through an artificial maturing process) is very hard to find. It is tinctured and used as a base note in oriental and floral compositions, in very minute amounts as it is powerful and its most significant role is as a catalyst, bringing out the best of each note and melding them all together seamlessly. I have been fortunate enough to find some ambergris that was beach harvested in North Carolina (the photo above is of the "mother lump", courtesy of Will Lapaz), and today I finally tinctured it – which is quite an experience. Grating and powdering the ambergris – which is very much like a fragile yet hard resin – is an experience on its own. The scent is delicate yet animalic and intoxicating, but never overwhelming… The tincture needs to be matured for at least six months before a considerable effect is achieved. And from than it is said to become only better with time… Because of its rarity and preciousness I will use ambergris in bespoke perfumes or limited editions. Lastly, ambrette seed – which has nothing to do with amber or ambergris, except that its has a significantly similar name. For more information about ambrette seed in all of its forms and it’s important role as the most sought after vegetale musks, please see my previous article. Another myth I would like to break here (since we are talking about animal/plant equivalences) – I deeply disagree with the common knowledge often presented in aromatherapy books that Clary Sage is the closest thing to ambergris in the plant kingdom. It is not. In fact there is very little in common that I can see or understand. The wine-like quality of Clary Sage must have had some influence on their nose… Unless, of course, those lucky souls had their hands on a very unique stash. I am yet to find that Clary Sage… Clary Sage can be used as an accent in amber compounds, but cannot be relied upon to make a compound smell like ambergris. Amber used to be used as a short name for ambergris. However, because of the cost and rarity of ambergris, perfumers have constructed many different compounds to assimilate ambergris or to create a warm, sensual, ambery impression by using other aromatics. Natural amber compounds usually contain a combination of Labdanum, Styrax Levant, Benzoin and vanilla. This creates a soft, sensual, warm, comforting and sweet aroma that lingers for many hours and also acts as a fixative for other notes. We see that amber in perfumery context is really a name for compounds with certain characteristics in common. All ambers are sweet base notes, and act as a fixative as well as add a sweet, soft and round note to a composition. However, ambers can differ greatly depending on what they are made of. There are synthetic ambers of different kinds and characteristics (i.e. : crystalline ambers are sheer and not as sweet as other ambers), and the same goes for natural amber compounds. One of my most favourite scents – the gum resinoid from the rockrose is as close as plants can get to ambergris. The ambery, sweet, honeyed aroma of labdanum plays a key role in many chypre and oriental compositions and is an important ingredient in amber compounds, along with Styrax and Benzoin. Labdanum absolutes vary in quality – some are lighter, some are sweeter than others, and some are more leathery and animalic. One of the essential components of amber compounds, Styrax Levant has top notes reminiscent of epoxy glue, yet it is sweet and pleasant, and has a smoothing ambery effect. It is sweet, floral and balsamic. Benzoin is a sweet balsam from a tropical Asian tree with fixative qualities. It is reminiscent of vanilla but does not overwhelm delicate floral and citrus notes. There are two varieties of benzoin: Siamese and Sumatran. The Benzoin from Siam (grown in China, Cambodia, Thailand, Laos and Vietnam) is a bit dried and powdery. The Benzoin from Sumatra is sweeter and richer, almost caramel-like, and comes from Sumatra, Java and Malaysia. For sweet, mouthwatering gourmand amber, I like to add essences such as honey absolute, vanilla absolute, tonka bean and Peru balsam. For a warmer, drier amber – I add spicy notes such as cinnamon, cloves, Tolu balsam and cassia. Herbs such as sage, clary sage and juniper can be used in minute quantities as well. To add mystery and allure - patchouli and incense (sandalwood, olibanum, etc.) can be utilized to great effect as long as the proportions are right. And of course – minute quantities of floral notes such as rose and jasmine will soften and round the amber compound, giving it depth without turning it into a flower. To learn more about natural amber compound and the amber/ambergris/Baltic amber resin confusion, read this article. In the midst of an artificial perfume collection, dominated by computer generated fragrances, Calvin Klein’s Obsession stands out, being a modern Oriental that is surprisingly charming. The heart, though floral, still possesses the charming contrast of sweet floral notes with some tanginess: heady jasmine mellowed and balanced by the citrus-invoking floral note of Orange Blossom absolute. It is backed up by a warm accord of fluffy smoke of sandalwood incense. The base contains an interesting dosage of oakmoss that is dry and synthetically modified, to create an almost spicy impression reminiscent of allspice berry and of cyclamen. It is accompanied by frankincense and is heavily backed up with notes of vanilla and fresh-smelling, radiant amber, which will end up dominating the dry down without compromise. Obsession is fun to wear, and is quite versatile. Though classified as an oriental, it has certain quality to it that makes it suitable to wear also in more casual social settings, and in mild and even warm weather. Comparing to the multi-faceted masterpieces Mitsouko, Vol de Nuit and l’Heure Bleue, Shalimar is in danger of being the most obvious – a purely seductive indulgence. Even the bottle shows off with it’s fountain-shaped stopper – or is it the feathered crown of a peacock’s head? It is a grandiose show-off of sensuality and passion – not unlike it’s inspirational tragic love story which resulted in the bombard grave known to us as Taj Mahal. In fact, Shalimar is almost too good to be true. There is nothing in this perfume that is not pleasantly dripping of sweet softness and curvy sensuality. From the sweet and fresh bergamot and curiously smoky top notes through the rose petals and jasmine blossoms softened by powdered iris, carnal base notes of castoreum, musk and opoponax sweetened with amber, tonka and affectionate doses of vanilla. The real beauty, however, and where the genius of Shalimar lies, is in the final dry down – a soft and delicious just-kissed skin,fondled and worshiped by a lover. From the most memorable creations of Jacques Guerlain, Shalimar is least complex, despite its incredible richness and expressiveness. : it sends a clear message of an indefeasible aphrodisiac. It’s beauty lies in the uncompromising hedonistic attitude and the absence of ambivalence in it’s total romanticism and sensuality. p.s. The only concentration I recommend for Shalimar is the Parfum Extrait. It may be different with vintage Shalimar, but the newly produced ones in other concentrations are a far cry from the love song that is the pure parfum. L’Heure Bleue is one of the true masterpiece by Jacques Guerlain. I see it as standing hand-in-hand with its sisters Mitsouko and Vol de Nuit. There is certain quality that underlines those three masterpieces and makes them even more than an amazingly beautiful-smelling perfume to wear - but truly a work of art. You breathe in the silent fresh air of your warm summer garden… The night blooming jasmine is beautiful and intoxicating… The grass that has been just watered, full of murmurs and insects’ summer-songs… The orange blossom flowers are just folding themselves for a long, peaceful night sleep. You pick a late blooming rose, a deep, velvety-purple-crimson rose, her petals already soft after warming up in the sun for the past three days. You hold the rose and fondle the petals and hold them against your cheeks to sense the warm scent of a mature rose releasing the peak of her last fragrance into the night air... And it is all part of you now, there is no need to hold on to it. There are the subtle citrus and anise top notes that are there to accentuate the soft florals, including violet flowers, and link them to the deeper base notes. The root of the composition, apparent from first application, is a soft and bittersweet heliotrope, combined with tonka bean that accentuates the softness, yet also possesses the bitter-almond-like undertones. Vanilla and orris root are also present, to support the overall powderiness and soft, mature and philosophical nature of l'Heure Bleue. The drydown is somewhat more smooth and ambery (though it is hard to see l’Heure Bleue as an oriental per se –it has such a unique individuality and perhaps deserves not to be categorized at all…Just like Vol de Nuit and Mitsouko, I am afraid it does not quite fit into categories…)– The drydown is a bit less powdery, with a vanillic accord. It also has some woody notes in the drydown – I suspect vetiver, but cannot quite pin point it. I will not be surprised to find some oakmoss in it either, though not in a chypre context but an oriental context, and perhaps some underlining spices that are subtle and are not meant to be recognized but rather create a warm undernote to support the rest of the scene. There is something in it that totally reminds me, surprisingly, of Mitsouko – the fruitiness that is quite dry, bittersweet (dry peach like notes in Mitsouko, and the cherry-like notes in l’Heure Bleue); and a certain dark woodiness at the base that is interesting, mysterious, hard to grasp – but once you get it you are totally captivated! The fruitiness of l’Heure Bleue lasts much longer though – as it originates in the heliotrope base notes, rather than the peach top notes in Mitsouko (that most people find they fade just a bit too quickly after been exposed…). When I first heard about l’Heure Bleue I was so fascinated with the inspiration for it that I decided to create my own interpretation for such a magical hour. It immediately made me think about my mother – an enigmatic lady (I am still trying to figure her out…), she is an aquired anosmic who always loved anise and velvet. I created for her the perfume Indigo, an enigmatic concoction of anise, caraway, bergamot, boronia, orange blossom, jasmine, violet, spices, incense and amber. To be honest, there is hardly anything in common between the two fragrances, left for a few notes and the insipration. Indigo is soft and cool as satiny-velvet, and smells like a nightfal in the Wadi – the dried riverbed, full of luscious greenery and vegetation, and the sounds of frogs and crickets. Now that I have given l’Heure Bleue a chance, and tried it several times, I must confess that I understand why this classic has survived two world wars as well as the currently overwhelming age of perfumery. p.s. Although the other concentrations are nice too, the pure parfum is for sure the best one. The Eau de Parfum is quite true to the parfum, while the Eau de Toilette is more similar to Apres l'Ondee. The other concentrations will be reviewed later. The mere act of opening the brown illustrated perfume case is like pulling an old violin out of its case. Remove the stopper and you are about to play the most expressive Sonata. The flacon itself, with its stylized, curled stopper, is suggestive of a string instrument. There is something fascinating about Mitsouko, as if time has stopped and got encapsulated in this unusual bottle. It is like visiting an ancient library and hearing the voices of history whispering from the walls and the leaves of the leather-bound book. The initial impression is a clean, yet rich and intense scent, somewhat powdery, with lavender and orris notes. This fades quickly, to be taken over by an interesting bitter peach-like note, which brings to mind the feeling you get when you crack the peach core, and the little bitter almond flavour emerges along with the dry woody aroma of the seed, and blends in with the pink sweetness of the not-yet-so-ripe (but full of aroma) fruit! The texture overall is that of an under-ripe peach skin, very velvety but somewhat shivering to the touch… But you touch it anyways to feel the Summer arriving… But also of the dried peach, which possesses a rich and somewhat bitter aroma, and is not as sweet as the fresh fruit. The classical Eastern Vetiver and Agarwood dominate the base, accentuated with a clean and dry patchouli, and there is just a hint of oakmoss and a warm, animalic labdanum note at the base. The warmer notes of the base grow on you bit by bit, but always stay very mellow, as the centre of the stage is that enigmatic, sweet&sour Japanese Agarwood, and the dry or moist vetiver root. The dry down possesses only a hint of the ambery-vanilla Guerlinade accord, and is mostly a classical, well-refined woody Chypre. Mitsouko brings to mind a wild desert wind, while at the same time acts in a most refined and cultural manner. It is luscious and almost convinces you that it is delicious and fruit, yet does not rise up your appetite at all. It’s a perfume for the sake of perfume, not worn for any other reason but to appreciate this original orchestration of counterpoint and intermingling resonances. Although a romantic in the aesthetic meaning of the word, Mitsouko is not a soft spoken, sweetly seductive perfume. It will seduce and elevate ones soul, but not the body, if such a distinction can be made at all. It would be a faithful companion at times of turmoil. Base notes: vetiver, oud, labdanum, oakmoss, patchouli, vanilla. p.s. I love Mitsouko in all concentrations - the Eau de Toilette and the Eau de Parfum and even the body lotion. More later about the difference between concentrations. Vol de Nuit makes me think about the heroic women of the WWII era, namely my dear grandmother. It is her signature perfume for over 50 years, ever since my grandfather took her to the Guerlain boutique in Champs Elysees, where it was chosen for her by the fragrance consultant, as it complemented her independent and adventurous personality. The scent of Vol de Nuit dry down seem to kindly linger around her and in her home. Like a truly well fitted signature scent, it never occurred to me it could be a perfume, it is like her second skin and complements her beautifully. I also associate it with the desert-dwelling heroine from The English Patient, Katherine, and the lost pilot in “The Little Prince”. Vol de Nuit sends a feeling of brave loneliness and secret stories that may never be told. The green rush fades rather quickly, smoothing itself gradually into an almost powdery combination of jonquil and cedar wood, mellowed and warmed by powdery musk and the Guerlainade – orris root, tonka bean and vanilla. That is what makes the narcissus notes not so heady and overwhelming (reassuringly, this perfume is neither too floral nor overly sweet, maintaining an adventurous sophistication). The smooth, somewhat powdery heart gradually evolves into a more sophisticated Woody-Chypre accord, based on Labdanum and Oakmoss and a noble Agarwood note that lends a somewhat sweet, somewhat sour undertone that is not unlike Mitsouko’s vetiver and agarwood base, but is richer and sweeter. Than there is the next phase of heart notes – which is definitely the inspiration for Chant d’Aromes in my opinion, as it smells exactly like this lovely, bittersweet autumnal-spring-like perfume: the fresh white floral notes (honeysuckle, gardenia, narcissus) over a woody-light musky-chypre base, floral and deeply warm at once, fresh and young and at the same time thoughtful and deep. The dry down echoes the earlier impression of the heart accord: woody and musky, with some amber-vanilla sweetness in the tradition of Guerlain (Which somewhat reminds me of Shalimar - only that Shalimar is a perfume worn to seduce, where as in Vol de Nuit the seduction is a lot more subtle, unintentional if you will – the seduction of others is only a side effect of one’s confidence and quiet mystique. Like Shalimar, the Vol de Nuit dry down is somewhat resembling a natural skin scent (which is my own personal weakness...), only more dry, woody and powdery. Shalimar is ambery while Vol de Nuit is muskier. Vol de Nuit is rich, complex, mysterious… A perfume of refinement and an understated, passionate approach to life. It should be worn with dignity and self-worth. In my mind it symbolizes independence and individuality in its most truthful meaning – facing adversity all by yourself, while maintaining your integrity and remembering who you are. p.s. I couldn't possibly stress enough how important it is to find and wear this in the parfum. It's difficult but well worth the effort. The Eau de Toilette simply doesn’t cut it. And I feel this is true for Shalimar and l'Heure Bleue as well. Mitsouko is the one perfume from Jacques Guerlain’s “Grand Quartet” that I like in any shape, form or concentration. Soon after advertising my first “classified ad” sweet letters started arriving in the mail from different parts of the country, from girls my age who also liked nature, music and reading. They were all so sweet and friendly, but they were more real than imaginary friends. Except that I never got to meet them in person. The letters usually had a faint background of pastel coloured images – of dogs with over sized heads and sad eyes, flowers and little girls in pink dresses. Some were really special, and I could tell even before I opened the letter – they had a tender scent of roses and sweet dreams that drifted beyond the sealed envelope. Some perfumes start with an abstract concept. Other perfumes are inspired by a building block - a note of distinct character the inspires the perfumer to explore possibilities and express the magnificent beauty of simplicity. So what happens when an unusually stunning building block is discovered in the middle of developing an abstract perfume? I just received a new cocoa absolute which smells truly of chocolate. Sweetness and all. It’s all I have been looking forward to for reworking my chocolate perfume, Guilt, and perfecting it. Guilt is a leathery chocolate concoction, juxtaposing smoky notes, rich florals and deep brown chocolate and amber with a hint of spice. Rose, orange blossom, frangipani and mimosa create an interesting ethereal contrast to the hedonistic chocolate… Guilt has always been a dark, leathery scent, the concept being using the most guilt-inducing substances such as cigarette smoke and chocolate addiction as the theme for an unusual gourmand. Now with the new sweet chocolate I am feeling tempted to re-work it into an altogether different concept - a milk chocolate, almost caramel-like, with sweet chocolate and vanilla, maybe also some tonka bean and amber. No flowers. No leather. No spices. Just chocolate. Of course there is the possibility of starting a new scent, but I have promised myself to not over-expand my collection (one chocolate perfume should be enough). Which of the two would make you feel most shamelessly guilty? Mix all the ingredients in the exact order described above using a Pianola. It is crucial that you keep the harmony and in the New Orleans’ Jazz spirit, to keep all the ingredients in the right proportions. The end will be tragic: the concoction will be used to the last drop. It is guaranteed that the person that wears it will die in the end. That is the perfect beauty of living a mortal life. Rain shower may leave a trail of scent behind, or may draw an invisible curtain hanging in the air; suddenly brightening the spirits and reviviving the thirsty plants and soil. Suddenly, one becomes aware of the possibility of other realities, of luscious greens and patience and calm. After the first rain in the dry lands, the earth releases a special scent emitted by the myriads of organisms inhabiting the upper layer of the soil – a musty and clean scent of wet earth. However, in places blessed with rain all year around, those scents are less than evident except for those times when the earth had enough time to dry and lust for water. When I first heard of Après l'Ondée, I was longing to try it and could not find a trace of it anywhere until a few years later. However, I was so fascinated by the idea of it, that I immediately set to design a perfume as an homage to the scent after the first rain in my home village. The result was Rainforest – ironically a scent that is more similar to the rainforests of the West Coast, the exile in which rain bares no precious values. Nevertheless, it gives on the feeling of a veil that have been lifted after the first rain to reveal life and hope, while also portraying the wild greenness of the West Coast rainforests. Après l'Ondée paints a completely different post-rain olfaction scenery, one that was for the most part foreign to me, until I traveled to countries where rain showers appear uninvited in the midst of summer, shuttering the delicate and fluffy blossoms of tiny purple flowers. Après l'Ondée is shy and quiet, like the cyclamen flowers hiding in the hollows of grey rocks, as if to escape the raging thunder storm. The cool and distant powderiness of orris and violet is soft and obscure, warmed by anise and carnation, and underlined with a quiet resonance of jasmine and subtle vanillic accord – like a dreamy summer-stroll along the dusty paths of a flower garden that suddenly was given away to a gently showering overcast, a reminder of the intimate closeness between beauty and melancholy. Measure the dry ingredients. Crush or powder the ingredients in a mortar and pestle or a coffee grinder. Stir well with a fork or chopsticks. Store in an airtight container and let the oils soak in well into the powders. After one week, you can use as an incense (burn a charcoal pellet and place a pinch of incense on top; refresh as needed. You may also use this to fill sachets. I love to use the traditional mortar and pestle for grinding my spices, made of marble. Brass and wooden ones may be used as well. Coffee grinder will require less work, but is incomparable to the pleasure of seeing the spices and resins gradually crushing while slowly releasing their extraordinary aromas. Orris root and sandalwood are readily available in powdered forms, and so is Siamese benzoin. These can be found in herbal stores. Frankincense and other incense are available in many Catholic church stores. Strange, mysterious and elegant, Private Collection is a perfume of rare beauty and originality. Although I liked the EDP very much, I find the parfum far superior, and this is the version I chose to review here. The opening notes are impossible to pass by without notice: green and strange. Galbanum, freshly cut grass and twigs, along with a hint of beetle-like scent, slightly apple-y notes, flying like fireflies in the summer above wedged watermelons specked with black seeds. An elegant crisp white floral heart complements the green notes with orange blossom absolute, neroli and rose and a tad of jasmine and lily of the valley. Underneath it all there is a warm and soft undercurrent of oakmoss and sandalwood. This is an exceptional perfume with a frosty aura of crisp elegance - just as the bottle so beautifully portrays. It’s cutting edge yet classy. It comprises of an interesting counterpoint of a distant, well preserved beauty and a warm and loving personality that is very approachable. It’s the combination of elegant florals, childhood-invoking, playful green notes along with more grown-up, warm, mossy and woody notes that make this perfume’s personality so well rounded and lovable. For a different view of Private Collection, visit The Scented Salamnder and read Marie-Hélène Wagner's review from February 5th 2007. Sacrifice my voice to the wind of the snowdrops"
I was born in the spring, and spring has always been my favourite season. In my home country, spring is gently warm, and blessed with millions of fragrant flowers in all shades of colours. I have missed spring ever since I have moved to the rainy West Coast city of Vancouver. The frequent rain washes off, along with dirt and pollution, the fragrance of anything that has the potential of being fragrant in other places. Even out in the nature, the bloom is not abundant in the spring as it is in desert lands... If there are any flowers they will appear later in the summer and will have little colour and scent that pales in comparison to the desert-flowers show-off parade of colours and scents. One needs to climb all the way up to the peaks of the mountains to observe the Alpine meadows... And so after a while I have learned to accept that there are different types of spring. The spring here is crisp and brisk, even (or more so) on sunny days. And although the cherry blossoms are now in full bloom, I still experience the spring here as a green spring, rather than pink or yellow as the cherry blossoms or daffodil flowers. And so, about three years ago, I have decided to create a scent dedicated to a cool, green spring - reminiscent of the first shoots of grass awakening and sprouting out of the earth and the mossy undergrowth of the forest, decorated only by hints of flowers that conform to this green concept and do not overload the scene with indolic exhibitionism. As the spring approaches, it is time to announce some of my new fragrances for the spring. The new version of Grin is green as the one from the previous two years. This time it is less herbal, more floral yet much greener than ever. Grin opens with the sappy, crisp greenness of galbanum, leading to a cool-cucumber, green violet leaf note, spicy-green fresh-cut freesia notes of boronia from Tasmania , softened by jasmine and rose to create a full bodied floral bouquet. Underlined by oakmoss, green vetiver note and woody-musty oud oil that brings to mind a mossy undergrowth of the soil awakening at springtime. Grin is available as pure parfum, in both alcohol and jojoba oil base. This new Spring limited edition of Grin will be officially released on March 21st. Samples can be pre-ordered prior to that via email - Ayala@Quinta-Essentia.ca. The subtlety of musks and their similarity to the scent of the human skin is not unique to musks alone. There are other notes that possess similar qualities – the oiliness of orris butter is reminiscent of the soft and sweet odor of a newborn baby’s head. At the same time, it has a cool, watery and even slightly earthy aspect to it. Orris root absolute is one of the most precious perfume materials. The roots need to be peeled and aged for a long time before extraction and distillation. It is invaluable in perfumery, for its powdery and delicate aroma and its role in floral compositions (especially those which require a violet-like touch). Orris is also used to soften woody, floriental and oriental compositions. Orris is one of the notes that make the Guerlain perfumes so soft and unique – it is one of the notes in the infamous Guerlinade. It’s role is of particular importance in Apres l’Ondee, Shalimar, l’Heure Bleue and Samsara. Recently, an orris theme has been receiving more attention by niche houses – Hiris (Hermes), Iris Poudre (Frederic Malle), Iris Silver Mist (Serge Lutens), Bois d’Iris (The Different Company), Iris Nobile (Aqua di Parma), Hirisa (Creed), and even the more mainstream Dior Homme released last year by Dior. But orris is not the only note that has a distinct powdery and soft character that resembles the human skin. Some on their own – and others give this impression off only once they become part of a more complex accord. From the wild jungle tree of Argentina and Paraguay. 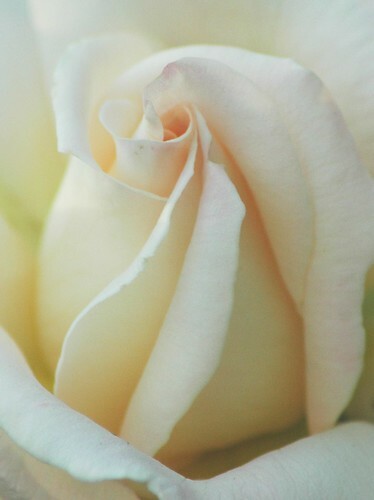 The oil is waxy, fatty, almost skin-like, slightly smoky and with a unique tea rose scent. It is often used in tobacco or leather compositions as well as in masculine spicy and woody orientals. I have yet to smell a distinct guiacwood note in a perfume that is not my own, though I am certain and it is not officially listed as a note in very many perfumes. Delicate and powdery, from the abundant yellow blossoms of the mimosa bush has a fragile top note that is somewhat soapy, reminiscent of cassie and slightly honeyed. Despite its powderiness, it is far smoother and more subtle than orris. A relative of the mimosa, cassie has a more pronounced floral-powdery scent, and is very delicate floral base note. It is warm, powdery and slightly spicy, herbaceous and warm. A by product of the rosewood furniture industry (steam distilled from rosewood dust). Rosewood contains a lot of linalool, a bright, clean, heady yet soft aroma chemical. Rosewood is a light and floral top note, powdery-smooth and slightly rosy (henceforth the name) and is not unlike lavender, but less herbal and slightly dried than lavender – and indeed often accompanies lavender to create a soft, powdery effect in fougere scents. Musc Ravageur is not distinctly a musk scent - not the first one to refer to in order to learn how musk is "suppose" to smell. Nevertheless, it's a great "comfort" scent. If I haven't fallen in love with Tocade for that purpose, Musc Ravageur would be my pyajama-scent. Coming up next in the "musk series": easy to find & affordable musks.